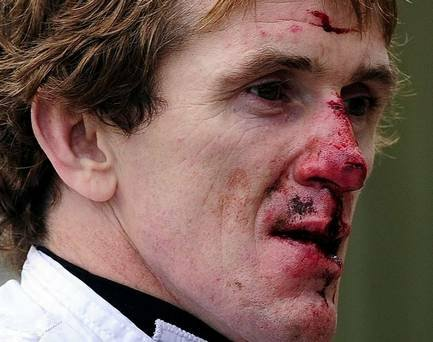 AP McCoy, jockey, racing career 1995-2015, Northern Irishman, legend. Tony or simply ‘AP’, as he is convivially known is a household name throughout the UK. His mother calls him Anthony. Very few people ever truly merit that ‘wow’ factor … Ali in boxing, Senna, Formula 1, Phelps, swimming, Bolt, sprinting. Race riding is an occupation which carries risks and it has its peculiarities. Yes, there have been and are wonderful jockeys: Willie Shoemaker, Willie Carson, Lester Piggott, Frankie Dettori etc. , all flat racing jockeys. None of these men can even cast a shadow near ‘AP’. 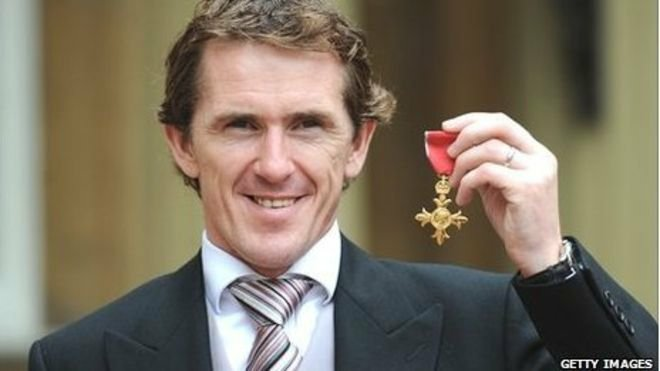 AP McCoy was the number one person in his sport for 20 years in a row. In his first season in England, McCoy served as a conditional jockey for trainer Toby Balding, which culminated in winning the Conditional Jump Jockeys Title (for amateur jockeys) in 1995. 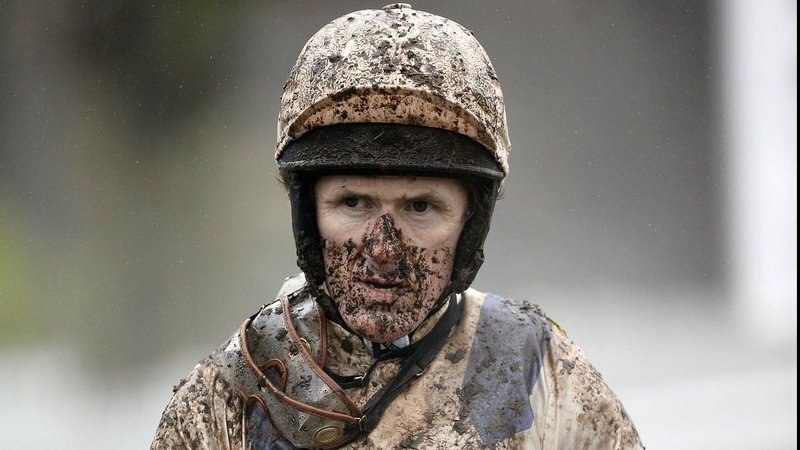 The following season he became champion jockey for the first time. He never looked back. Over his astonishing career AP McCoy won each of the top Steeplechases at least once: Grand National, Scottish Grand National, Cheltenham Gold Cup, Queen Mother Champion Chase, Champion Hurdle, King George VI Chase, Ryanair Chase, RSA Chase, Fighting Fifth Hurdle, Tingle Creek, Arkle Challenge Trophy, Welsh Grand National, Midlands Grand National, Irish Grand National, Lexus Chase, Galway Plate. First Season: 1995. Champion Amateur Jockey. 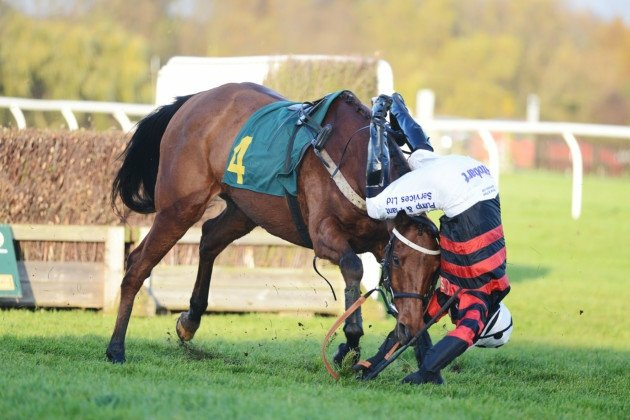 Then there is the down side of being a jump-jockey. To maintain a suitable racing weight, McCoy had to keep his weight down to 63.5 kg (10 stone). His natural weight, based on his physiology, should be about 75 kg (11.5 kgs., one and a half stone or over 25lbs. more). When travelling at up to 30mph (nearly 50 kph) and jumping obstacles, there is an obvious risk of falling. In the UK, a plain fence is a minimum of 4’6”, an open ditch has the same minimum plus a ditch in front, forcing horse and rider to perform a longer jump. A water jump is a minimum of three foot high and asks for an even longer jump (usually 8-10 feet). Here is a list of the injuries: Broken middle and lower vertebrae, both shoulder blades, both collarbones, ribs, ankle, cheekbones, wrist, ankle and leg plus a dislocated thumb and chipped teeth. That’s not counting repeated broken fingers and the number of times he broke his nose. The Cheltenham Gold Cup is recognised as the race which proves the best steeplechaser of the year. In 2012, AP was on a horse called Synchronised. Owned by JP McManus and trained by Jonjo O’Neill, himself a former jockey. Synchronised did not have the ideal run. Notice how AP guides the horse to be comfortable in the pack; the horse was a bit ‘green’ in the way it ran. The horse then started to jump a bit lazily and ‘fiddled’ its way over. When you are racing over almost 3.5 miles, losing momentum when your horse jumps is a killer, especially towards the end when your horse is tired. See how AP gives his horse a good look at the last few jumps in order to allow him to be fluid in his jumping – AP made up for a poor jumper by balancing his distribution of weight such that the horse was pushed forwards upon landing. There are many other aspects of this ride which allowed a very talented athlete to win a premium race despite a poor jumping skill set. Please note that this video needs to be watched on Youtube; it cannot be replayed here. Video by Racing UK. 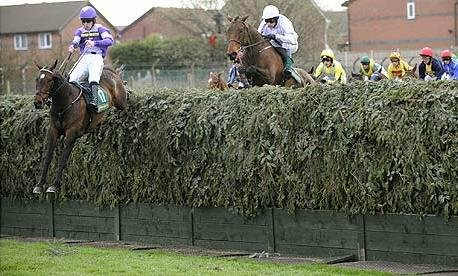 2009 William Hill Gold Cup. Please note that this video needs to be watched on Youtube; it cannot be replayed here. Video by Racing UK. 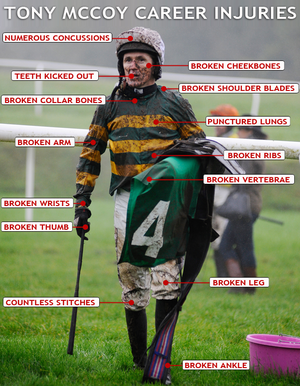 Retrospective of AP McCoy’s career. Video by Sky Sports. This a pretty rough race, featuring AP on Milan Bound – it is a Hurdle Race over just over 3miles. With half a mile to go, check out where he is. These horses are all very ‘green’ and are learning their way. This horse would never have won without AP! As a rider of horses, to have watched the career of AP McCoy has been a privelege.